Today’s freebie comes from archive.org. 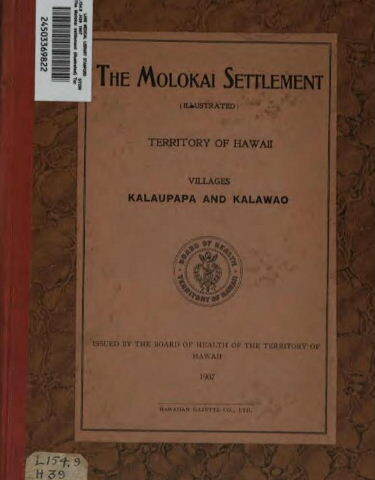 The book is called The Molokai Settlement, Territory of Hawaii: Villages of Kalaupapa and Kalawao. Issued by the Board of Health of the Territory of Hawaii : 1907. The book has information of the leper colony on Molokai. It includes many photographs of the two settlements, the facilities used, the people in daily activities, and so forth. It gives a good idea of what the island was like at the turn of the century. This book is available at archive.org and Google.com. It can be read online, download in PDF, EPUB, Kindle, and other formats. Get a copy of this book. Thanks for posting this. I’m going to download a copy. Isn’t it amazing the books available to read completely in full at the Google Book search? Thank you for sharing!. A brother of my grandfathers died in 1936 in the Colony. Gloria, You’re welcome! It is fascinating how many of his have links to Molokai.